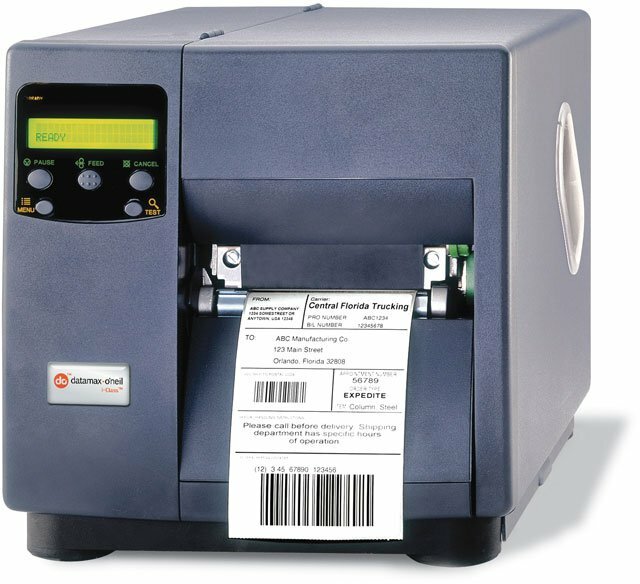 The I-4604 printer is perfect for applications that demand printing very small labels, high-resolution graphics, or two-dimensional barcodes. With a 600 dpi (24 dots/mm) printhead and the ability to accurately maintain print registration, the I-4604 produces small labels for applications such as tracking small parts with high resolution barcode labels, printing high quality graphics for identifying wiring harnesses, cosmetic labels or adding an intricate Datamatrix, Aztec, or PDF417 barcode label to a package. When it comes to reliability, ease of use, maintenance, and high performance, there is just one choice - the I-4604. It's the industry's answer to your high performance, high-resolution printing needs. All units ship with product documentation. The DMX-REW1 is a low-cost universal label rewinder/unwinder supporting labels up to 5 inches wide at speeds of up to 15 ips (inches per second). Any rewind core from 1 inch to 4 inches in diameter can be used. Label rolls up to 8 inches in diameter can be accommodated. 4" x 6" Thermal transfer polyester paper label. Not perforated. 1,000 labels/roll, 4 roll case. The Datamax-O'Neil R46-00-18900Y07 is also known as DMX-I4604PPRT	or R460018900Y07	.